Clive Stevens has come a long way in his 61 years. At the tender age of 17, his first paid job was putting out deckchairs for tourists on the golden sands at Margate seafront – a short stroll from his childhood home in Westgate. Involved since its inception, he’s intensely proud of what it has achieved. “It wasn’t the most popular project when it was first mooted,” he reflects, “however it has worked. I’m really proud the town of Margate has benefited from it. We had 376,000 visitors last year and the team has done a great job. 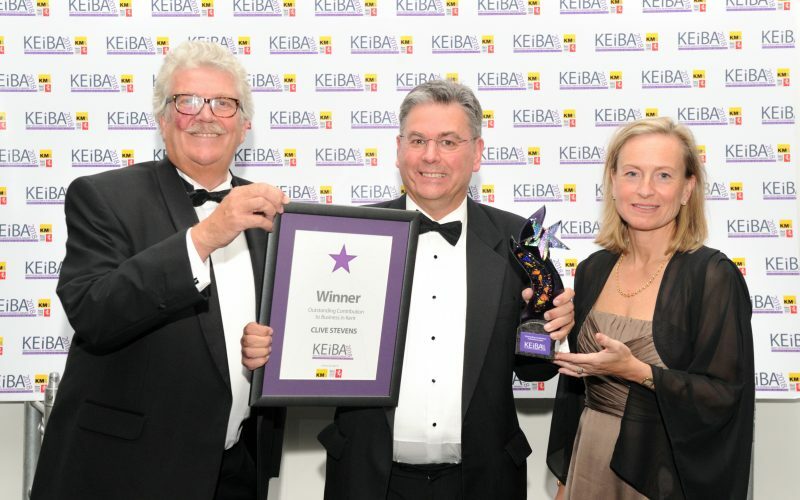 Contribution to Business in Kent Award. his way up the ranks, becoming a partner at 31 and managing partner before he was 40.
which extends from Canterbury to Chatham, London to Sussex; billing some £35 million. clients have wanted. “I’ve been fortunate enough to do lots of things with the firm,” he explains, “but they have all been connected to bringing business and wealth and opportunity back to Kent. and continue to live in Margate.